A baby black bear cub was found dead on Monday in Manhattan's Central Park by a woman walking her dog. The bear had trauma to her body, but the cause of her death still remains a mystery. The story lit up the internet, with shocked reactions from various media sites. The cub's death is puzzling and tragic. But perhaps even more heartbreaking is the story of the bears who came before her in the area - all of whom have fallen to the same fate. When deciding how to estimate what used to live in an area, scientists and cartologists must rely on historic maps, preserved letters, computer models and other resources. In order to do this in New York, the Wildlife Conservation Society launched the Mannahatta Project in 2010. The project aimed to create the landscape ecology present in the boroughs of New York City when the first Europeans arrived there in 1609. 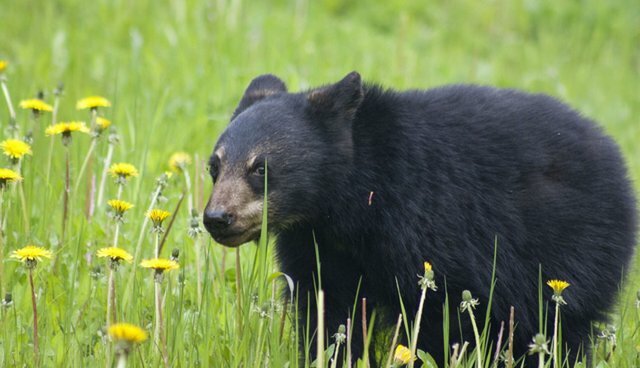 The black bear was abundant in the forests and meadows of Mannahatta in 1609. One was shot in the vicinity of Maiden Lane, in Lower Manhattan, in 1630. Traders seeking valuable bear skins and fur exploited the species across the country from the 1600s onward. In one memorable incident in Mississippi in 1902, Theodore Roosevelt refused to kill an American black bear that had been tied to a tree, deeming it unsportsmanlike. 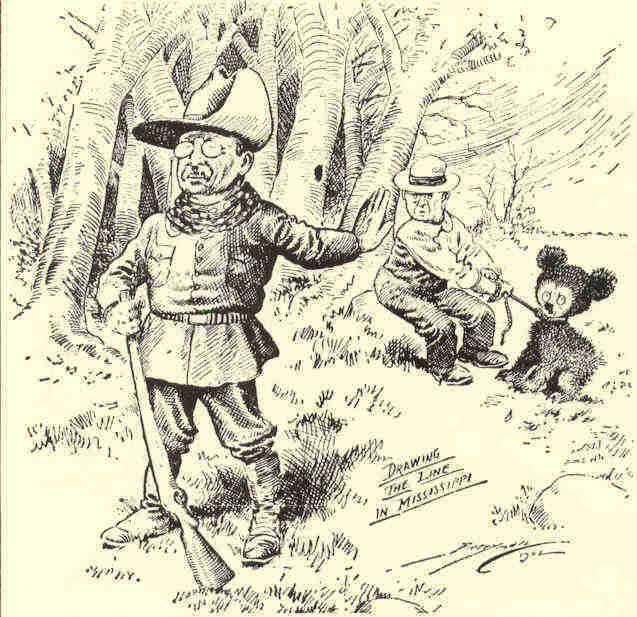 The sight was memorialized in a cartoon in The Washington Post - a scene that became both the inspiration for the "teddy bear" and the frontier of a new way of thinking about bears. Even so, black bear hunting in New York state (and 27 other states) still goes on. The season stretches for three months out of every year, according to the Department of Conservation (DEC). Approximately 6,000-8,000 bears live in areas open to hunting in the state. The total black bear population in the U.S. is somewhere between 327,200 to 341,200 individuals. Bears are often hunted to control population size or food now, not because of attacks on humans - in fact, one 2011 study found that the species had killed just 63 people in the United States and Canada over the last 109 years. Black bears are not listed as endangered, but they are crucial players in their ecosystems as nutrient providers and seed dispersers. They are no longer present in several of the places they historically lived, including, of course, New York City. So while the story of the abandoned black bear cub in Central Park is an undeniably sad one, she is just one of thousands of black bears that have fallen victim to people - in centuries past and today. The state Department of Environmental Conservation's Wildlife Health Unit today concluded the necropsy results on the female black bear cub found deceased in Manhattan's Central Park on Monday, October 6. The female cub was found to be approximately 6 months old and weighed 44 lbs. DEC determined the cause of death was blunt force trauma consistent with a motor vehicle collision. The case continues to be an open DEC enforcement investigation. Potential Environmental Conservation Law violations include the illegal possession, transport and disposal of an untagged bear.